This is a Clutch #41 Chain, 10T with a 3/4" Bore for Go Kart or Minibike. This clutch does not come with or use set screws. Clutch does not need set screws as long as the end of the crankshaft is threaded for a bolt. 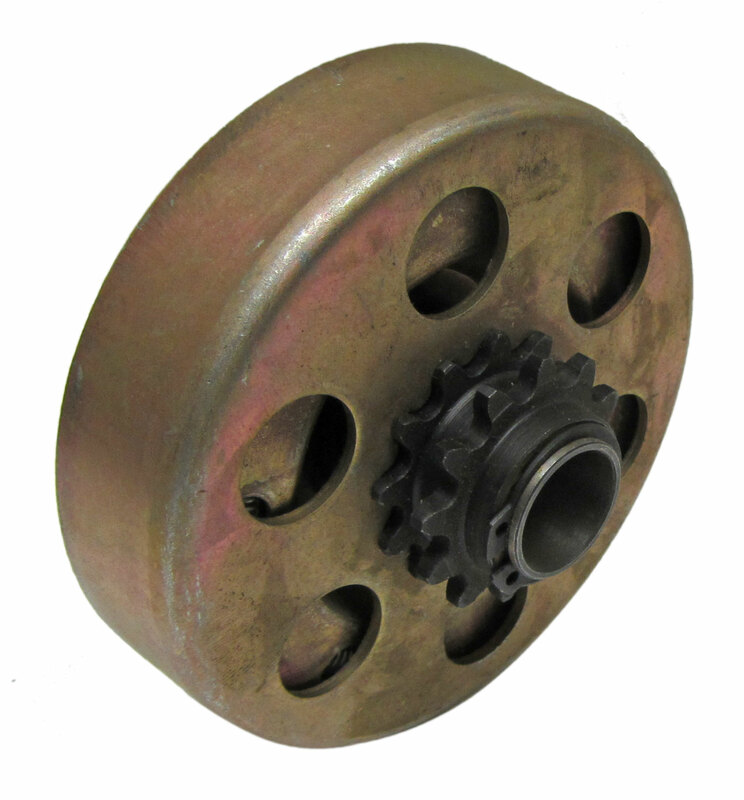 Most go kart clutches are held onto the shaft with a bolt and larger washer. Extra washers can be used on the crankshaft to space clutch.